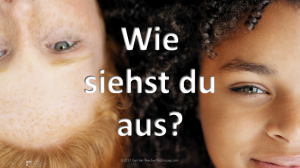 Currently viewing the tag: "Appearance"
A worksheet to practise describing colour of hair and eyes in German. Click on the image below to download. 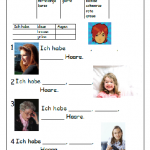 You can also find a PowerPoint to accompany this worksheet here. 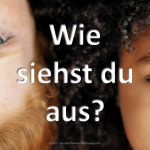 A PowerPoint to introduce describing people in German, including hair length, colour and style and eye colour. 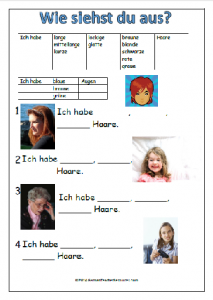 Students use images to pick up new vocabulary, then progress to gap-filling, before writing their own simple descriptions.